Written on January 22, 2015 at 4:58 pm, by Hydraulic Controls, Inc. 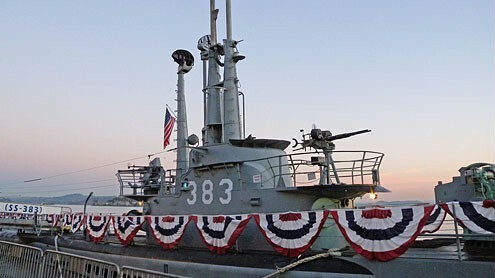 Provide more efficient and easy-to-operate solution for supplying hydraulic power to various systems such as periscope and torpedo doors on historic World War II-era submarine U.S.S. Pampanito, a museum ship berthed at Fisherman’s Wharf in San Francisco. Premier Fluid Power Distributor and Systems Integrator. Hydraulic Controls, Inc is committed to being a highly reliable local source for domestic and global fluid power products. Our goal is to be recognized by our customers as the one source that can and will meet their requirements without exceptions or excuses. © 2019 Hydraulic Controls Inc. All Rights Reserved.